Let’s just call the “bipartisan” transportation bill, HB17-1242, what it is – a massive tax increase. If this bill (and the transportation debate) was really about providing transportation funds, a different bill, HB17-1171 would have passed easily. 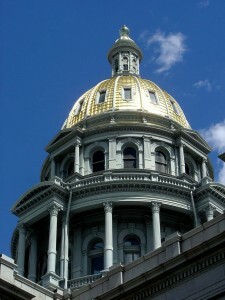 HB17-1171 would have directed 10 percent of state sales and use tax to transportation projects across Colorado. According to the Republican sponsors, Reps. Terri Carver and Perry Buck, the bill, which still would have required a vote of the people, would have raised approximately $250 million to service a $3.5 billion bond for projects listed in the statute and approximately $280 million per year for road maintenance. But it didn’t pass. The bill, meant to achieve the same goals as 1242, without raising taxes, died in the House on a party line vote, meaning that Democrats killed it. In case you aren’t following, to be crystal clear, if transportation funding was the goal, this should have been a no-brainer for both sides of the aisle. But transportation funding is not Democrats’ goal – it’s probably just the issue that polled the best. The transportation funding is just the “why” behind a tax increase, in the mind of Democrats. Indeed. It is shocking that Democrats consistently refuse to prioritize transportation funding, but come to taxpayers for more and more money for their pet projects.